Delta is now willing to give you a lot more money when you voluntarily give up your seat on an overbooked flight. The airline has increased its maximum payout from $1,350 to $9,950, according to an internal memo obtained by the Associated Press. The change appears to be a direct response to the United Airlines fiasco. United has been dealing with a PR nightmare after a video of a passenger being dragged from his seat went viral. It wasn't just a horrid way to treat a person, it has been a financial mess as well. The situation precipitated a large stock tumble, refunds for every passenger on the flight, the potential for litigation, and calls for boycotts in the U.S. and China. Authorizing employees to offer more money is an easy way to reduce the potential for a similar disaster. In the search for a volunteer to be rebooked, United stopped at $800. In retrospect, it may have saved a lot of money by offering more to a volunteer. Of course, Delta won't start offers at $9,950 and they are likely betting they'll have volunteers at lower amounts. However, the policy gives employees leeway. Gate agents are now authorized to offer $2,000, up from the previous maximum of $800. Supervisors are authorized to go to $9,950, up from the previous ceiling of $1,350. That's well above what is required by federal regulations in situations where a passenger is involuntarily removed from an overbooked flight. Under those guidelines, anyone who is bumped and arrives one to two hours after the expected arrival time is entitled to 200 percent of the ticket cost with a $675 maximum. Anything beyond two hours makes the price jumps to 400 percent of the original ticket with a $1,350 maximum. Basically, employees are being given the green light to do whatever it takes to avoid a situation resembling United's tire fire. In 2016, Delta had more passengers willingly give up their seats than any other airline, according to the Associated Press. It has consistently been willing to pay more than other airlines to get volunteers. 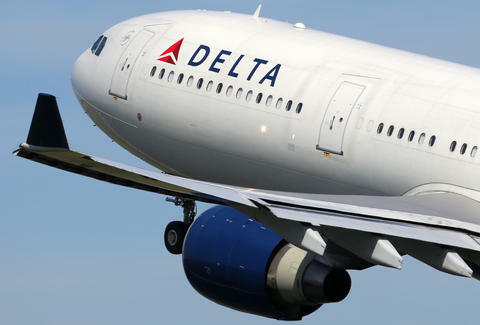 An AP report reveals that over the last two years, Delta has averaged $1,118 to every passenger denied a seat. That's hundreds of dollars more than Southwest Airlines, United or American Airlines.